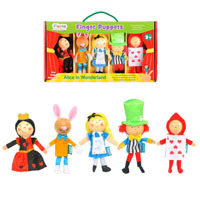 Are you lucky enough to own one of our finger puppet sets? You can download a script for most of our titles here that will help you perform fun-filled shows. You can find the puppet sets here. The wooden bus with 26 'children' wooden play pieces, one for each letter of the alphabet has so much play potential. Download a play ideas sheet here. 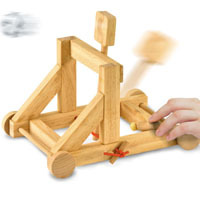 Help kids get crafty by building their own firing catapult! Great for all adventures, and also target practice. Download the instructions here. 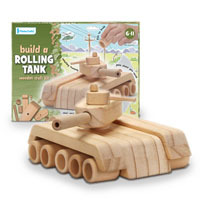 Get fully battle ready by building your own rolling tank! Roll it straight in to adventure with independently moving gun turrets and cardboad cut-out soliders. Download the instructions here. 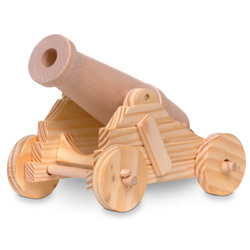 An excellent way to improve hand-eye co-ordination - build your own wooden cannon and adjust its trajectory to make sure you hit your target! Download the instructions here. 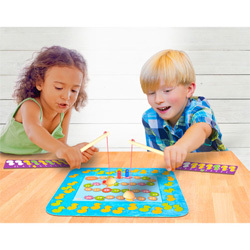 The Fish N Spell is an exciting speed game for two players that promotes literacy and co-ordination skills. Comes with 100 suggested words in 4 language options. Download the rules here. 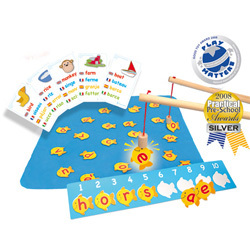 The Fish N Count Race will help children improve their numercy skills as they race to make up the target numbers! Download the rules here. 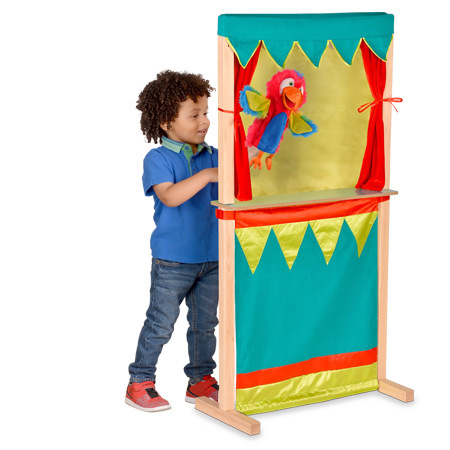 Two much-loved toys in one - a Puppet Theatre that just turns around to become a Shop! Either floor standing or adapt to play with on a table. Plus it's easy to put together and store after play! Download the instructions here. If you have the old style Puppet Theatre & Shop, you can download the instructions here.